La Capra Goat run to benefit Sunfield Home | Welcome to Fairview's Blog! Wine and Cheese are happy to announce that we will donate the funds raised at this years’ Fairview La Capra Goat Run, being held on 10 November, to the Sunfield Home in Wellington. The residents have found their way into the hearts of many in the Boland area, including ours, and they could not have done it without the love and support they receive at the Sunfield Home in Wellington. Sunfield traces its roots back to the Magaliesburg Children’s Home for the Mentally Handicapped, which was established near Hartbeespoort Dam in August 1953 by the parents of eleven mentally handicapped children. Conditions were harsh on the Highveld and during early 1955, the parents collectively purchased the 22 ha “Greendale” farm just to the west of the little village of Howick in Natal. They moved the eleven children and the managers, Mr and Mrs Schafer, down to the gentler climate of Howick – and the flagship Sunfield Home was born. 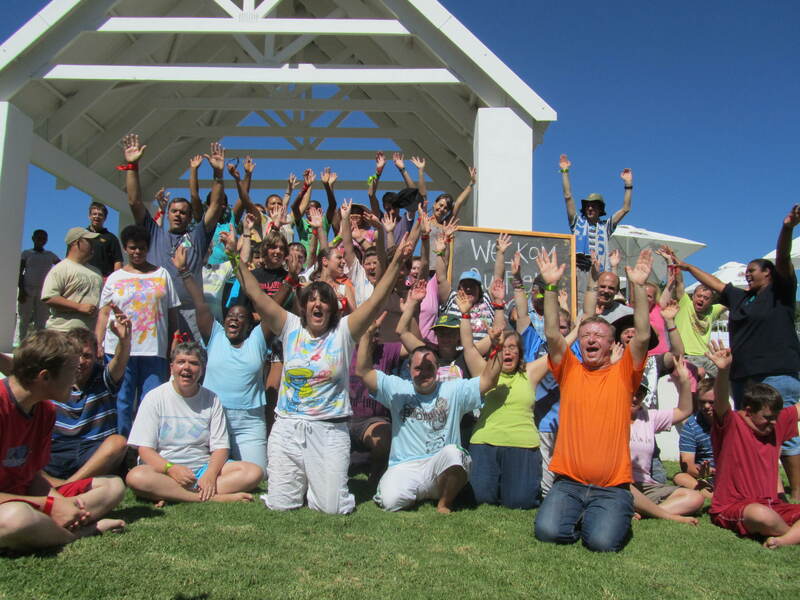 The Wellington Home is one of many Sunfield establishments, and has been supporting, guiding and empowering mentally challenged adults since 1991. Sunfield Wellington houses and cares for over 100 mentally challenged adults from the Western Cape area, and there are over 80 individuals on the waiting list. The residents at Sunfield Wellington cannot function independently as a result of a genetic dysfunction, injuries, and health conditions. The dedicated staff provide these incredible individuals with everything they need to achieve the quality of life everyone deserves. With constant supervision, they are exposed to and taught necessary life skills, routine work, involvement in household activities, sporting activities and enjoy various outings which enrich their loving hearts and curious minds. The need for this kind of special establishment is growing by the day. Unfortunately, due to the government only subsidising R22 000 of the R343 000 monthly expenses and the establishment having to rely on parents (levies), fund-raising projects and contributions from businesses, such as ourselves, Sunfield Wellington is struggling to make ends meet. Fairview has worked closely with Sunfield Wellington for many years, we have included the residents of the Home in small, but very important aspects, of the business. These amazingly determined adults are involved with the Cheese factory, folding all the small packaging boxes for our cheeses, as well as placing the stickers on the Chevin and Cream Cheese packaging. They also make the tags for all the cheese on the cheese platters at the Goatshed Restaurant. They are compensated for each and every item they deliver to us and we cherish their contribution to our company. Fairview, although a constant support to the Home, has seen that there is a great need for funds towards this place that brings light to so many people’s lives. Sunfield Wellington is not just a house for these adults, but it is their home, their sanctuary where they can live to their full potential. The thought of them not having the encouragement and love found here is not one that wants to be entertained by us, or anyone else.